The Thematic networks are collaborative networks that bring together different stakeholder organisations to produce joint statements on health-related developments. The networks are hosted on the EU Health Policy Platform and supported by DG SANTE. 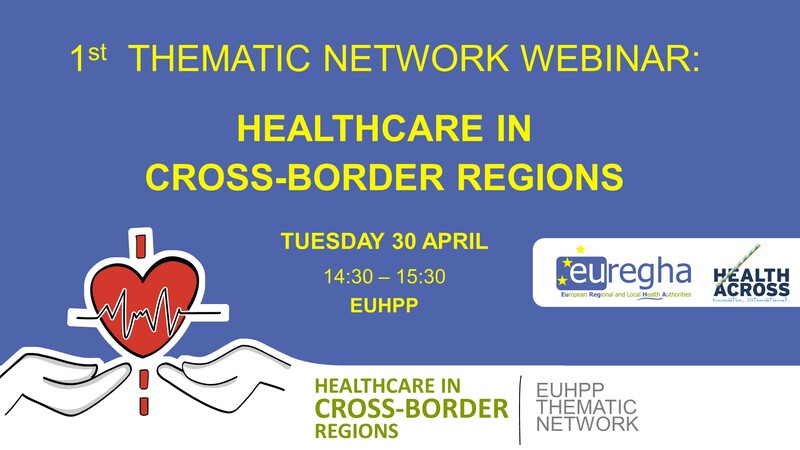 On the 30th of April from 14:30 to 15:30 EUREGHA, Healthacross Initiative and EU Prevent will run the first webinar dedicated to the “Healthcare in cross-border regions” draft joint statement, hosted on the EUHPP. Please find the instructions below.